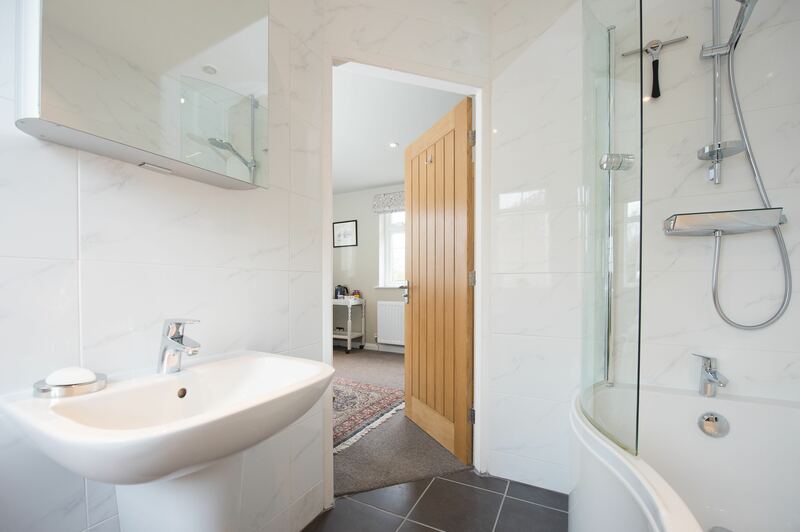 The sitting room is great for reading, watching the large flat screen TV, or simply relaxing and looking out onto the garden and countryside. Our west facing garden is ideal for catching the afternoon sun or enjoying our spectacular sunsets. We can provide an ice bucket if you fancy enjoying a glass of wine or bubbly in the garden. There is parking for four cars on the driveway. We have secure garage facilities for bicycle storage. We can store boots and walking equipment in our utility room. Free wireless internet is available in the guest bedrooms, sitting room and dining room. Tea and coffee making facilities in bedrooms with homemade biscuits. And, of course, tea or coffee and scones, jam and cream when you first arrive. 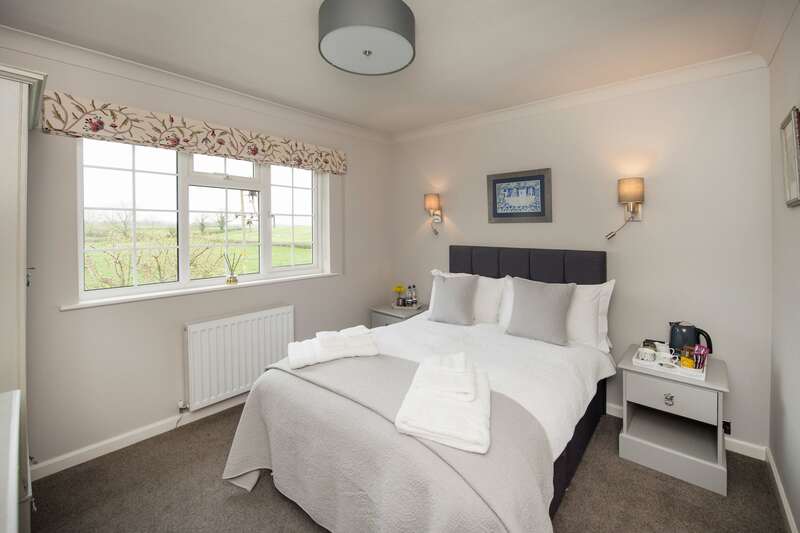 Our double room has lovely views to the garden and open countryside. 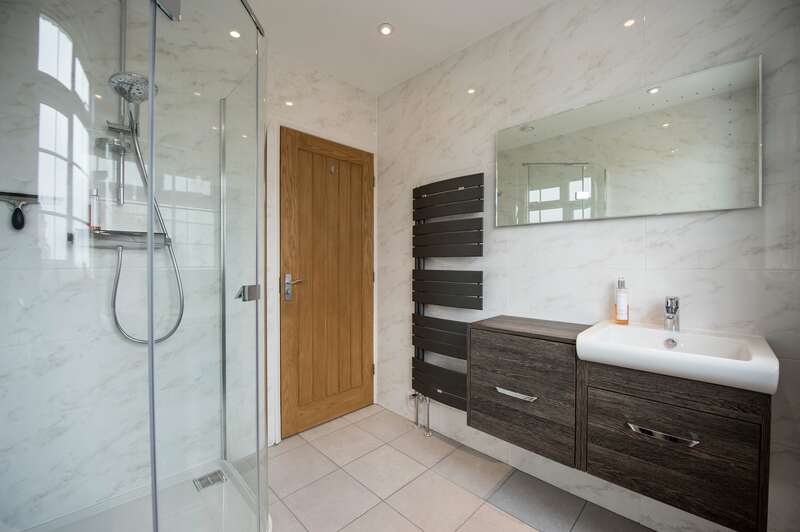 This room has an adjoining private bathroom with a spacious Matki shower cubicle and Villeroy and Boch sanitary ware. 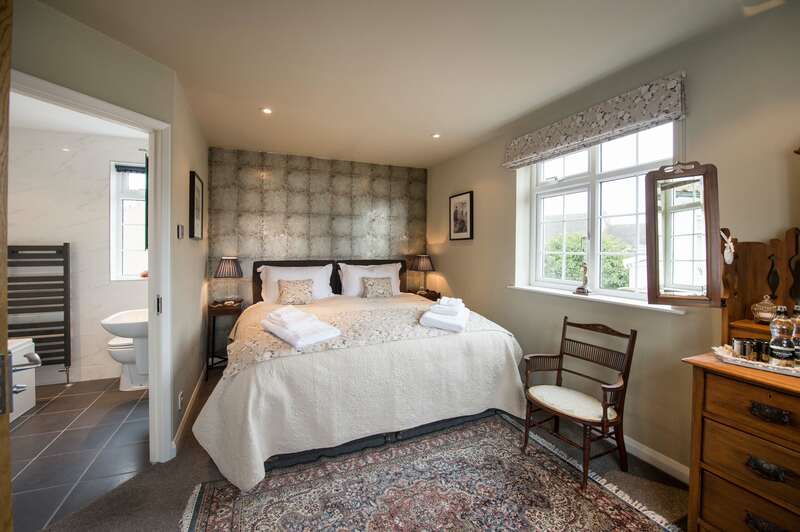 A tastefully decorated room with antique furniture, this room is available to book as a super kingsize or twin, and is ensuite with bath and shower.